This week’s Cash Flow Wealth experts are Ryan Bradshaw and Spencer Shaw from PodKick Media. These two are getting down and dirty with how to set up, record, produce, and market your podcast. From the basics like equipment to the iTunes submissions and monetization, they comb through every inch of the topic. With a reminder to always be asking what you want people to get out of your show, Ryan & Spencer will guide you through your podcast setup and get you on your way to success. Today’s Cash Flow Wealth expert is Scott Paul, co-founder of InstaFluence, about how to help your business in the digital era of the day. Scott teaches listeners what things he added to his website that boosted his sales, and the latest trends in online sales. Scott also explains how you need to find your niche, and how to become a thought leader in that niche. He rounds out the episode with 3 things you need to do if you have a business with no current online presence. This week’s Cash Flow expert is Russel Gray, co-host of The Real Estate Guys Radio, as he teaches you how to use real estate to grow and protect your wealth in the face of a decaying dollar. Real estate can (and probably should be) an investment you’re involved in. The US dollar is no longer an effective long term storer of value, and there are serious dangers measuring your wealth in dollars. 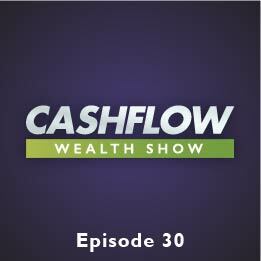 Russel covers the difference in real wealth and paper wealth, building your portfolio around cash flow, why there’s a serious vested interest in protecting real estate, and the beauty of the 30 year mortgage. Today’s Cash Flow Expert is actually two experts, Andy Tanner and Pat Donohoe, talking about a third expert’s (Ron White) memory system. Ron is a memory champion who helps individuals learn to remember anything they desire by implementing his system. His method has allowed him to remember the names, rank and date of death of every service member lost in Afghanistan. Pat and Andy discuss how entrepreneurs can utilize this skill in their business and how it can be used in every day life as well. Today’s Cash Flow Expert is Pat Donohoe, CEO at Paradigm Life and founder of the Cash Flow Wealth Summit. Pat’s focus is the financial service industry: how they make their money, the 4 rules they follow to maximize profits on your money, and how they are consistently eroding your accounts. But he also shares the 2 flaws in the financial services industry, and has news of how his company is using some of the strategies that big money has been using for centuries to protect your wealth and make sure you’re doing it virtually risk free.